This is the second edition of a highly successful book which presents a short, down–to–earth account of how children learn and of the kinds of knowledge and skills they acquire at school. Though it does not show teachers how to teach, it gives a highly practical account of learning, remembering and related processes. 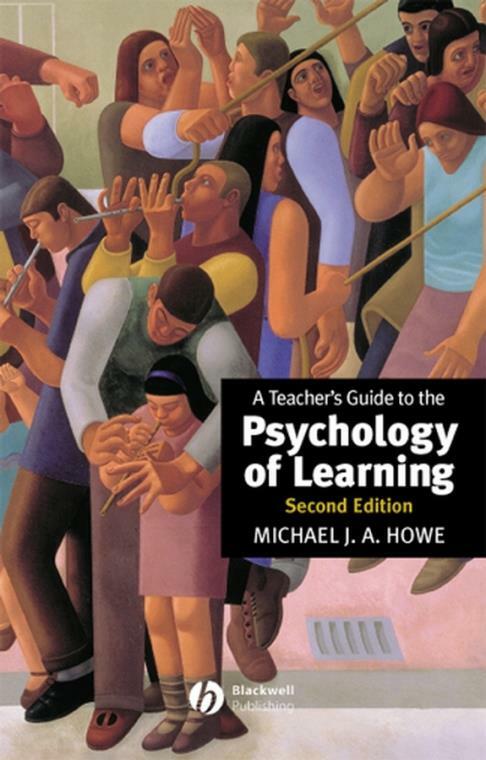 In common with the first edition, A Teacher’s Guide to the Psychology of Learning draws upon the contribution of modern cognitive psychology to increase out understanding of those kinds of learning that are needed for making progress in the classroom. Together with substantial revisions, this updated edition includes a number of new chapters reflecting the increasing interest in human learning an knowledge acquisition. Introduction: the beginnings of human learning. Preparing for learning at school. Mental activities and human learning. How existing knowledge aids learning.